Has there ever been a societal problem that had you super angry? Chances are, there’s probably been more than one in the past week alone. They are highlighted on the news, in advertisements, in conversations in the workplace and classroom, on social media. Everywhere you look, you can find one. If you’re feeling weighed down by the seemingly unending forms of suffering across the globe but don’t know how to make a difference, DoSomething is a great launch pad to the many forms of activism and social change. They are an organization that regularly ignites 5.5 million young people to make positive societal changes, both online and off, and they always have multiple campaigns running on their site, many of which you can get involved with right from your bedroom at no cost to you. And major bonus: they offer scholarship opportunities to those taking part in a cause. In the spirit of this month’s power word and with the help of DoSomething, we are channeling our strength to being the generation that ends smoking for good. They have launched a campaign, called Who Has Their Eye On You? 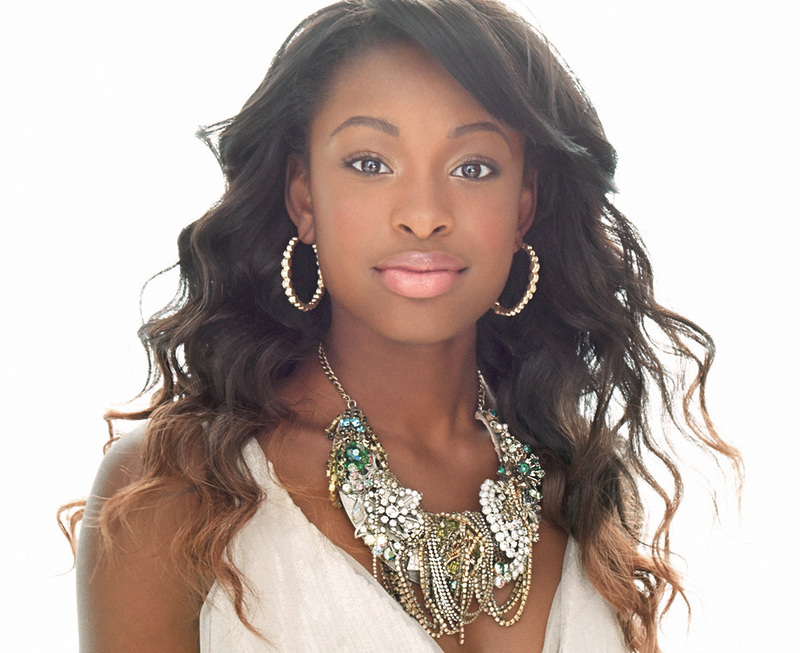 with truth®, one of the largest and most successful national youth tobacco prevention campaigns, and Disney actress and singer Coco Jones. Every year, tobacco-related disease kills about 202,000 women in the United States. The marketing and promotion of menthol cigarettes have been targeted heavily toward African Americans, and approximately 47,000 African Americans die from smoking-related disease annually. LGBTQ young adults, 18-24, are nearly two times as likely to smoke as their straight peers. Low-income neighborhoods are more likely to have tobacco retailers near schools than other neighborhoods. Statistically speaking, more people are dying of tobacco-related diseases if they are from low-income communities, racial and ethnic minorities, LGBT individuals, or have a mental illness, and it all comes back to the fact that these companies are prioritizing these markets in their advertising efforts. So DoSomething and truth® created a counter-campaign, and it totally resonated with us. Spire & Co’s founder, Emily, chatted with Coco Jones to get all the info on how you can be involved in this campaign if it speaks to your soul. Even if you’re not feeling it, we asked for her advice on channeling your inner activist and finding the time to create positive social change in whatever arena feels right for you. This seems like a huge problem, both because it’s discriminatory and for the health implications of smoking. Can you tell us more about this cause from your perspective and why it spoke so deeply to you? I think it was very important for me to get involved in this campaign because I wanted my fans and my generation to know about the profiling tactics of the tobacco industry. It is really discriminatory and I had no idea that tobacco companies take such efforts to attack our generation and that they market their products specifically towards African Americans, LGBTQ, and low-income communities. I had no idea that they made all these strides, so for me it was important to spread the message. If it changed the way I think about things, it may change the way my fans think about it as well. What is it about DoSomething that inspired you to get involved with the organization? DoSomething makes it so interesting and they have a cool approach for reaching out to this generation. I really like the fact that it’s not over informative. It’s not intimidating and it’s really trendy and fun. I wanted to be a part of it and felt that I could help the cause. There are so many causes people can take part in. How have you found the causes and organizations that you most connect with? I felt like I’ve been given this platform for a reason and I never want to just be here and not say anything, not making any difference. When I’m gone, I want people to know I’ve helped in some way and that I have filled a spot in making this world a better place. I think finding the right cause comes with time and with research and opportunities. DoSomething approached me and when I learned about the cause I was very shocked and of course happy to be involved with it. What advice would you have for those of us who are still in search of volunteer opportunities? If you want to help in some way, find out ways to help. There are so many ways. And there’s the internet so you can find all the ways. You have grown up in the spotlight and in the age of social media, where your audience can essentially get a glimpse into your everyday life. Do you a feel a sense of responsibility to the people that look up to you? You know it’s funny, I’ve never felt pressured just because I’ve been an older sister much longer than I’ve been “famous.” So I’ve always wanted to be a good role model. It’s not for the people that watch me. It’s for my little sister. So I’ve always taken on that role and thought, “Okay, let me make sure that I can live this out so that she can see it’s possible.” And then it just happened that other people started following me and supporting me, but that’s just who I’ve always been! I didn’t feel pressure that there was someone I had to turn into. It’s just who I was and who I am. That’s why I started Spire! It was all for my little sister. It gives you a different intention. So when choosing to share your thoughts and ideas and perspectives outside of your life as an entertainer, how do you determine what it is you want to say? I feel like it just comes naturally. If I’m talking about a cause, I make sure I’m very informed because I don’t want to be speaking about something that I barely know about. But if it’s just general advice from my life on what I’ve learned and wisdom that I have to share, then I would say it just like I would if it were a best friend or my little sister. It’s never really forced. Nobody believes it when it’s forced. Whether you have a huge platform like you do or your following is just your family and friends, what’s you advice for using it as a force for good? Just find something that inspires you. If you’re inspired by making this world better, if you’re inspired by lifting up your peers or supporting girls, find a cause that inspires you. Just you being truly driven by it will make people want to listen. They’ll want to follow your lead. You are undoubtedly incredibly busy. What is your advice for finding time for volunteering and creating a positive impact of that nature? I don’t think it’s about finding time. I think it’s about making time. Everything you’re excited about and you feel is important to do, you’ll make time to do. I don’t care how much time I have in a day, I will make time to eat because I enjoy that with a passion, hahaha. So I feel like when you have something you truly have a passion for, you make time for it. It’s about creating a space where you do what you have to do, knock it out, and move onto what’s important to you. How can our readers be a part of the DoSomething campaign? DoSomething.org is a great place to get started. Their website has so many different causes that you can look into. And of course you can enlist in the movement to end smoking at thetruth.com. When you see things like this happening, especially with social media, just use the hashtag #StopProfiling for it and it will spread like wildfire. Click here to take part in the campaign!